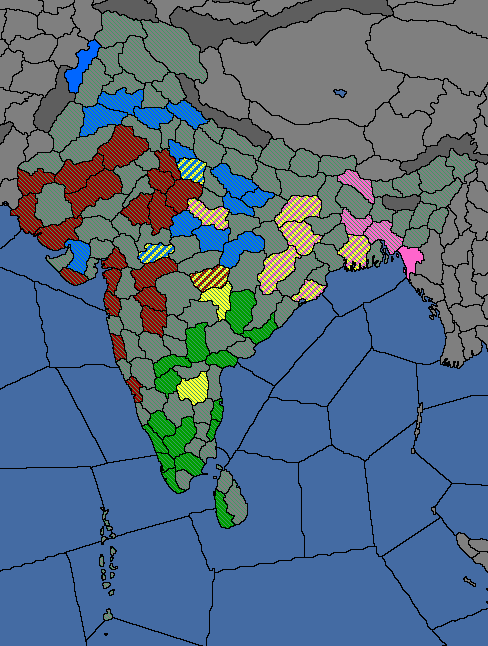 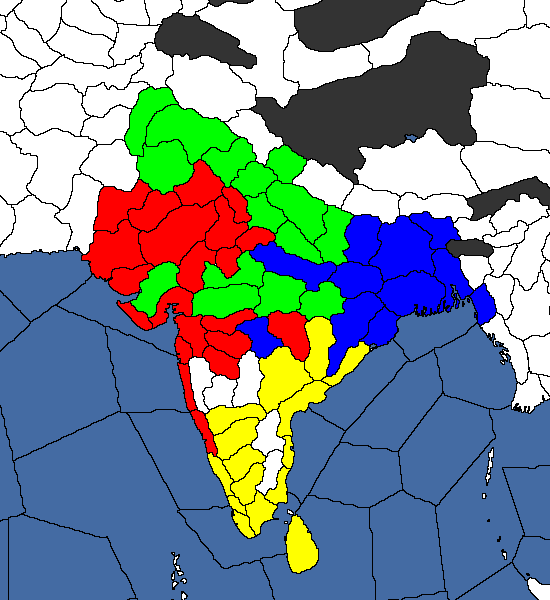 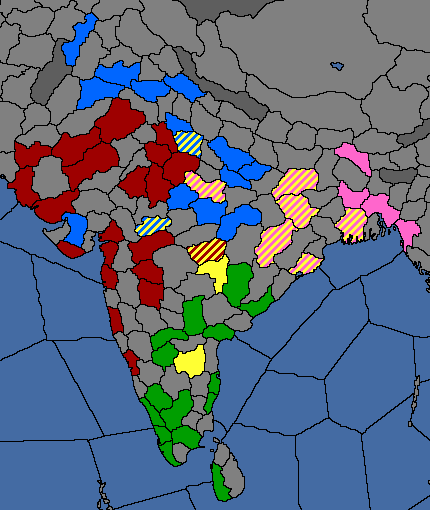 Provinces required to form Bharat or Hindustan, colored for each Indian culture group (Dravidian green, Western Aryan red, Hindustani blue, Eastern Aryan pink, Central Indian yellow). 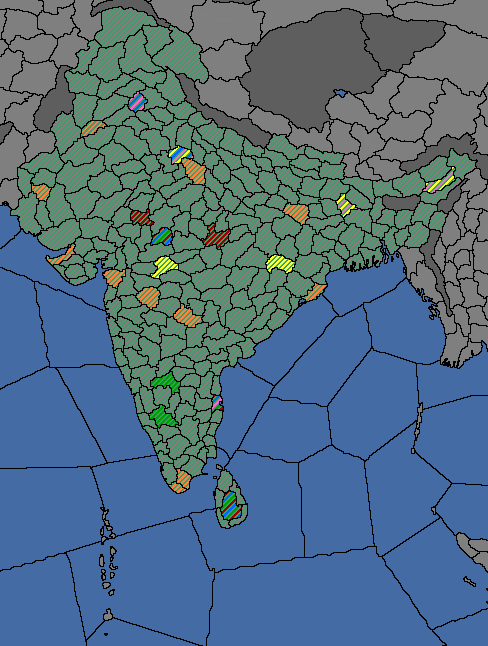 The lightly shaded green area (India region) is permanently claimed after formation. 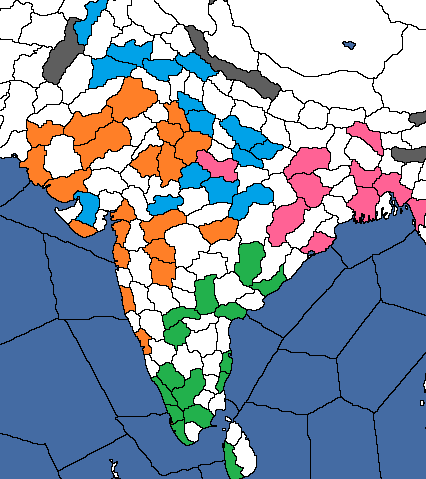 This page was last edited on 24 October 2018, at 10:28.